Keep up with the action in the ZigEnergy Ref. With ZigTech's responsive zigzag outsole and a rub-reducing SmoothFit construction, this sideline-ready shoe is perfect for refs on-the-move and players alike. Synthetic upper for lightweight comfort with SmoothFit construction for smooth-seamed support. Low-cut design for quick cuts and mobility. 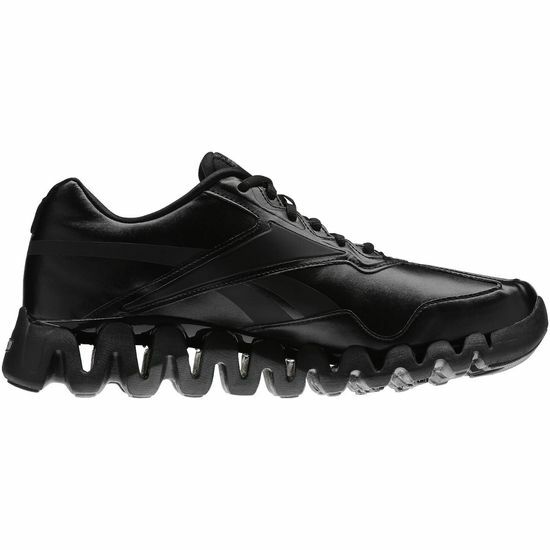 ZigTech zigzag outsole is designed to maximize cushioning and responsiveness. Removable Ortholite foam sockliner for cushioning that accommodates orthotics, plus vertical and horizontal cushioning to reduce stress on the heel. Multi-surface outsole for traction with forefoot flex grooves for added flexibility.